Here at Improving, giving back to the community is one of the many ways we strive to fulfill our values. This year, for the first time ever, we were the Nonprofit Information Exchange Sponsor for the Corporate Caring Awards. The Corporate Caring awards honor local businesses for their commitment to the community. A panel of three judges picks 15 honorees for their philanthropic activities. Not only did we help sponsor this year, we also won the Corporate Caring Award for Education. This was due in part to the user groups that Improving hosts and feeds every weeknight. It looks like giving back isn’t always a thankless job. As this year’s Nonprofit Information Exchange Sponsor, Improving not only donated, we were also given six exhibit booths used to invite non-profits of our choice. These included The Center for Balanced Living, Community Shares, Alvis, Columbus Speech and Hearing, Gladden Community House, and Girl Scouts of Ohio. At the end of the awards, we selected one of the exhibitors from a fishbowl and announced them as the winner of $1,000. 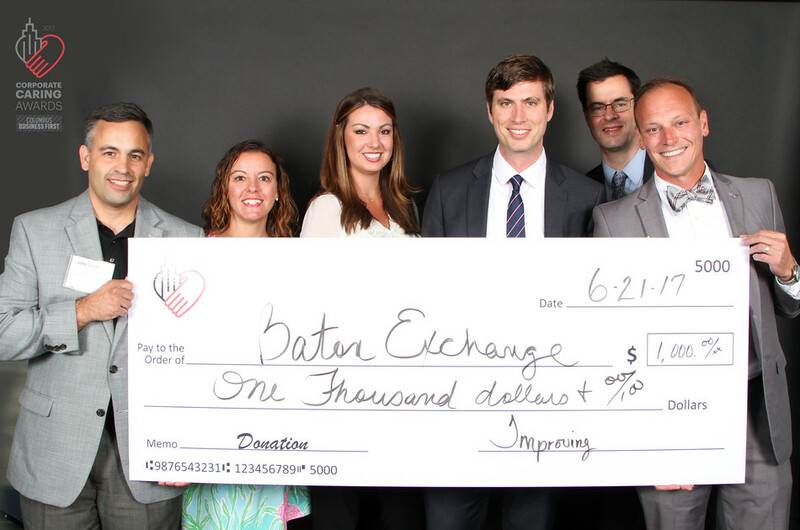 This year’s winner was The Baton Exchange, a non-profit dedicated to developing young leaders. While none of our picks were chosen, they were still given excellent exposure at the event.